recommends what each of uscan do and details milestonesto capitalise on. The July Newsletter from MGMH has been released! Please click this link to view the July newsletter. If you didn't receive the newsletter and want to be subscribed, please send us an email at admin@globalmentalhealth.org. The United Nations (UN) Convention on the Rights of Persons with Disabilities (CRPD) was adopted in 2007 and has since been ratified by 177 countries. It represents a paradigm shift from an impairment-focused, biomedical model of disability to a socially focused, human rights-based model. Impairment arising out of a mental health condition is termed psychosocial disability in this model, and laws and clinical protocols governing mental health practice are likely to be informed by the CRPD's provisions. The Indian Mental Health Care Act of 2017 (MHCA) states that it was drafted because it is necessary to harmonize existing laws with [the CRPD]. There are many examples in the criminal and civil law where a judge is constrained by the law and is bound to reach a decision which he or she feels is unjust or lacking in compassion. Consequently, many judges would be more likely to say that the ideal judge is one who is ‘dispassionate’ rather than ‘compassionate’ and that their personal feelings must not be permitted to skew what the law requires of them. Areas of the law concerned with vulnerable people, such as mental health law, do tend to allow more leeway for compassion. As with all jurisdictions, a judge operating in this area needs to know the relevant law and procedure and to be a competent evaluator of evidence. However, other qualities are fundamental to the quality of the decision-making such as sympathy, empathy, compassion, experience, understanding and courage. The application of sympathy and intuitive understanding is a prerequisite for the objective observation of mental phenomena in others. Consequently, empathy and compassion are instruments of justice and the notion that objective decision-making is undermined or contaminated by them is impossible to support. Because proceedings involve a person’s personal welfare, an objective ‘rational’ decision is one based on the subjective (personal) feelings of the relevant people, including those which the judge believes are irrational or illogical. If the judge is uninterested in the person’s problems and the underlying causes, such a narrow field of view necessarily leads to a narrow understanding of the overall situation. India's “groundbreaking” Mental Healthcare Bill 2012, has been approved by the country's cabinet, and is just a parliamentary nod away from being enacted. Dinsa Sachan reports. After ratifying the UN Convention on the Rights of Persons with Disabilities (CRPD) in 2008, India was under obligation to amend its disability laws to meet CRPD norms. Moreover, a 2005 report by the National Commission on Macroeconomics and Health recognised the huge burden of mental illness in the country and the inadequacy of the existing system to address the problem. According to the report, nearly 65—70 million people in India have some kind of mental illness, and this excludes common mental disorders. The commission also estimated that there was a 70—80% treatment gap for mental disorders. A new law is the need of the hour, thinks Michelle Funk, coordinator of Mental Health Policy and Service Development at WHO's Department of Mental Health and Substance Abuse. “Too few people with mental disorders and psychosocial disabilities in India have access to good quality mental health care, and too many within the system have experienced extensive human rights violations, including inhumane and degrading treatment, restraint, seclusion, physical, sexual, or emotional abuse, and neglect”, she says. Becker, A. & Kleinman, A. When the World Health Organization (WHO) European Ministerial Conference on Mental Health endorsed the statement “No health without mental health” in 2005,1 it spoke to the intrinsic — and indispensable — role of mental health care in health care writ large. Yet mental health has long been treated in ways that reflect the opposite of that sentiment. This historical divide — in practice and in policy — between physical health and mental health has in turn perpetuated large gaps in resources across economic, social, and scientific domains. The upshot is a global tragedy: a legacy of the neglect and marginalization of mental health.2 The scale of the global impact of mental illness is substantial, with mental illness constituting an estimated 7.4% of the world's measurable burden of disease.3 The lack of access to mental health services of good quality is profound in populations with limited resources, for whom numerous social hazards exacerbate vulnerability to poor health. The human toll of mental disorders is further compounded by collateral adverse effects on health and social well-being, including exposure to stigma and human rights abuses, forestallment of educational and social opportunities, and entry into a pernicious cycle of social disenfranchisement and poverty.4,5 Advances in efforts to alleviate the human and social costs of mental disorders have been both too slow and too few. Armstrong, G., Nuken, A., Samson, L., Singh, S., Jorm, A., Kermode, M.
Background: Mental disorders such as depression, anxiety and suicide represent an important public health problem in India. Elsewhere in the world a high prevalence of symptoms of common mental disorders have been found among people who inject drugs (PWID). Research in India has largely overlooked symptoms of common mental disorders among this high risk group. This paper reports on the results of a survey examining quality of life, depression, anxiety and suicidal ideation among adult males who inject drugs living in Delhi. Methods: Participants (n = 420) were recruited from needle and syringe programs using time location sampling and were interviewed using an interviewer-administered questionnaire. Self-report symptom scales were used to measure the severity of symptoms of depression (PHQ-9) and anxiety (GAD-2) within the preceding 2 weeks. We assessed the presence of suicidal thoughts and attempts within the past 12 months. Results: The mean length of injecting career was 20.9 years indicating a sample of chronic injecting drug users, of whom only one-third (38%) were born in Delhi. The level of illiteracy was very high (62%), and just 2% had completed class 12. Scavenging / rag picking was the main form of income for 48%, and many were homeless (69%). One-third (33%) had been beaten up at least twice during the preceding 6 months, and many either never (45%) or rarely (27%) attended family events. We found a high prevalence of depressive (84%, cut-off ≥10) and anxiety (71%, cut-off score of ≥3) symptoms. Fifty-three percent thought about killing themselves in the past 12 months, and 36% had attempted to kill themselves. Conclusions: Our findings revealed a socially excluded population of PWID in Delhi who have minimal education and are often homeless, leaving them vulnerable to physical violence, poverty, poor health, imprisonment and disconnection from family. The high prevalence of psychological distress found in this study has implications for programmes seeking to engage, treat and rehabilitate PWID in India. Michael R. Phillips, M.D., M.P.H. ; Hanhui Chen, M.D., Ph.D.; Kate Diesfeld, J.D. ; Bin Xie, M.D. ; Hui G. Cheng, Ph.D.; Graham Mellsop, M.D. ; Xiehe Liu, M.D. After 27 years of often contentious debate, China’s first national mental health legislation was adopted by the Standing Committee of the National People’s Congress on October 26, 2012, with the law taking effect on May 1, 2013 (1). Over the coming decades, this wide-ranging law will fundamentally transform the provision of mental health services in China. We live in a time of spectacular opportunity for health. By 2011, life expectancy exceeded 80 years in 26 countries. But with life expectancy below 55 years in another 17 countries, there are also spectacular levels of deprivation. Opportunities for health have grown, but so too have inequalities in access to those opportunities. WHO's 2008 Commission on Social Determinants of Health attributed health inequalities to “structural conditions that together fashion the way societies are organised—poor social policies and programmes, unfair economic arrangements and bad politics”. The Commission proposed as one pillar of the response to build the power and ability people have to make choices about health inputs and to use these choices towards health. Amartya Sen has similarly identified health outcomes as being a product of different dimensions of functioning and of agency. Whilst health professionals are fairly certain of their role in a biomedical approach to improving health, there is less certain knowledge about whether and how to intervene in unequal power relations or to build people's agency to achieve wellbeing. Yet as Rudolf Virchow once wrote “all disease has two causes, one pathological and the other political”. In 1848 the Prussian pathologist Rudolf Virchow famously described medicine as a social science, and politics as medicine writ large. Virchow's medicine today is better recognised as public health, writ large by our evidence of the political, social, and economic determinants of health. Virchow's then-radical theory of social medicine was built upon his own youthful investigation of typhoid among Silesian coal miners. His revolutionary prescription ranged from increased democracy and female suffrage, to improved wages and working conditions and progressive taxation. His government employers thanked him for his report and fired him. A few weeks later, a committed activist, he joined Berlin's public protests and street barricades of the short-lived 1848 populist revolution. Few major social advances in public health have been achieved without health workers taking political risks. Virchow's British contemporary, John Snow, similarly faced censure from those supporting the prevailing miasma theory of disease in the face of his fastidious evidence-gathering. In 1854 Snow's careful work led to the removal of the handle of the choleric Broad Street pump, an archetypal moment in 19th-century public health. These two past approaches capture to some extent the dynamics that underpin health activism today: Snow had a singular focus in response to a particular problem; Virchow was aligned with a broad movement aimed at overturning a pathological political order. Can China's new mental health law substantially reduce the burden of illness attributable to mental disorders? On May 27, 2013, the World Health Assembly adopted the Comprehensive Mental Health Action Plan 2013—20201that has great potential to change the direction of mental health in countries around the world in the next 8 years. This action plan and the accompanying resolution—a first in the history of WHO—represent a formal recognition of the importance of mental health for WHO's 194 member states. It is also a commitment by all member states to take specified actions to improve mental health and to contribute to the attainment of a set of agreed global targets..."
The GETHealth Summit, 6-7 February 2013 in the United Nations, New York City, aimed ‘to bridge the health workforce gap in developing countries through new partnerships between innovators in Global Health Education and Information Technology. The Summit brought together leaders in health, education and IT to discuss and develop initiatives designed to empower providers in the most resource-limited communities in the world’. It were very inspiring and entertaining days: About 150 optimistic and dedicated people from around the World, a bulk of knowledge and experience and plenty of successes and recommendations (and a few failures). I would like to bring across the main messages from this summit in ’20 golden tips’. No Health Without Mental Health: Lessons Unlearned? I am pleased to announce the publication of our report Mental Health and Human Rights in Cambodia. The report represents an innovative application of human rights norms to the Cambodian mental health landscape based on extensive research and fieldwork, including more than 150 interviews. Please feel free to contact Daniel McLaughlin (dmclaughlin13@law.fordham.edu) with any questions or comments you may have about the report, as well as to circulate it to others. The Programme for Improving Mental health care (PRIME) has recently produced a policy brief, “Poverty and Mental Disorders: Breaking the Cycle in Low-Income and Middle-Income Countries”. Based on the results from two systematic reviews, it was found that mental health interventions were associated with improved economic outcomes. At the same time, it was also found that poverty alleviation programmes can have mental health benefits, particularly for conditional cash transfers and asset promotion programmes. It is thus emphasized that interventions are needed that address both the social causes of mental illness and the disabilities and economic deprivation that are a consequence of mental illness. Policy recommendations are provided. See the attached. CEO of Member Care Associates and Coordinator of the Mental Health and Psychosocial Working Group of the Geneva-based NGO Forum for Health, Kelly O’Donnell, has recently written three resource articles on global mental health (GMH). The purpose of these articles is to provide user-friendly overviews of the field of global mental health, helping to orient people to this domain, especially students and practitioners in the mental health and overall health fields. Resource 1. Global Mental Health: A Resource Map for Connecting and Contributing (Psychology International, July 2011). This brief article provides a 60 minute overview of GMH via links to 10 written/multimedia resources on the web. It’s a great way to quickly see the big picture. Resource 2. Global Mental Health: Finding Your Niches and Networks (Psychology International, March 2012). This brief article builds upon the first article. It identifies 10 overlapping areas of GMH (niche-nets) with links to current web resources for each area. Resource 3. Global Mental Health: A Resource Primer for Exploring the Domain (International Perspectives in Psychology: Research, Practice, Consultation, July 2012). This is a major research article with an extensive listing of GMH resources, prioritizing those from the last 10 years. The resources are categorized into six areas: organizations, publications, conferences, training, human rights, and humanitarian. It is also foundational for the previous two articles as well as the new web site, GMH-Map—part of a collaborative project to identify and share GMH resources widely. Coordinated response needed to capitalize on WHO's mental health resolution. Excerpt from the article: "On June 10, 2011, the draft of [China's] National Mental Health Law was finalised by the Legislative Affairs Office of the State Council and released for public comment. After public consultation, the Standing Committee of the National People's Congress further revised the draft on Oct 24, 2011 and released it on Oct 29, 2011,6 before final approval and formal implementation. In the absence of any national guidelines on compulsory psychiatric admission and discharge, the current daily practice in China is that individuals who are suspected of having mental disorders are often compulsorily admitted to psychiatric hospitals with the consent form signed only by family members. Usually only the person who signed the consent form for the admission is then allowed to apply for the patient's discharge from hospital.3 This common practice does not respect the human rights of patients with mental illness. The latest draft of the National Mental Health Law aims to promote mental health, improve the quality of mental health services, and protect the human rights of patients with mental disorders." The purpose of this handbook is to assist mental disability advocacy services throughout Europe. We hope that advocacy services will become more effective by reading this guidance, by undergoing training on key topics and by adopting policies similar to the ones presented here. The handbook sets out best practice guidelines for advocacy services and is based on the experience of long-standing advocacy services for people with mental health problems and intellectual disabilities in the United Kingdom, a country in which mental health advocacy has played an important role in protecting human rights for many years. This report by Mental Disability Advocacy Center was written for the Russian context, but has wider relevance in terms of the concepts it argues. Hungary was the first EU country to ratify the UN Convention on the Rights of Persons with Disabilities in 2008. MDAC is advocating for implementation, especially on ensuring that the government establishes an independent body to monitor the implementation. One of the key areas of implementation is legal capacity, and MDAC has engaged in intensive advocacy at governmental level. In September 2010 MDAC and other NGOs submitted a comprehensive shadow report to the United Nations Committee on the Rights of Persons with Disabilities. At the High-level Meeting of the UN General Assembly on the Prevention and Control of Noncommunicable diseases (NCDs) in 2011 and 2014, multiple commitments were made by countries, and calls were made upon multilateral and donor agencies to support national efforts. Subsequently, WHO Member States agreed at the World Health Assembly to a 25% reduction in premature NCD mortality by 2025 (“25x25”) and then adopted a set of risk factor and health system response targets which, if achieved, would ensure achievement of the 25x25 mortality target. In 2015, the UN General Assembly committed to the 2030 Agenda for Sustainable Development, which includes a specific NCD target within the health Sustainable Development Goal 3, i.e. one-third reduction of premature NCD mortality by 2030 through prevention and treatment and promote mental health and wellbeing (SDG 3.4). These targets will not be met unless action is accelerated. Business as usual is insufficient and urgent. Actions are required now by all countries and all international organizations, especially UN agencies. In the last 30 years, Brazil has developed a State Policy for people with mental disabilities that has gained recognition from the World Health Organization. This Policy was responsible for the creation of nearly 3,000 community mental health services, redirecting financial resources previously used in asylums. Many of those asylums, in fact, violated human rights, as reported by the press and the State Prosecutors Office. The Federal budget, which used to subvert the logic by prioritizing hospitalizations, now allocates 75 percent of its resources to outpatient services, that help men and women find mental health and happiness wherever it may be in the daily life in community. Such services help avoid hospitalizations and replace psychiatric hospitals, with advantage, when they are needed. In the more structured Psychosocial Care Centers (CAPS), that can have up to ten beds, people are cared for when on crises and out of it by the same team, in the same place, without fragmentation of care or loss of their identity. Therapeutic residences offer housing alternative, supported by and inserted in the community to those with less autonomy. This policy, which combines mental health and human rights with efficiency in public management, was born from the process of redemocratization of the country. Its guidelines were agreed by users, family members and mental health service professionals at four major national conferences. It has gone through all the different managements in the Ministry of Health since 1990 and was registered under the Federal Law 10.216 / 2001 after 11 years of debate in the Congress. The current Minister of Health, however, has made changes in the Brazilian mental health policy, despite contrary recommendations from the National Human Rights Council and the National Health Council. The Minister proposes to extinguish legal mechanisms that allow transferring resources from asylums to new community services. And more: in a budget cut scenario, he wants to adjust funding to asylums, with an estimated impact of R$ 140 million, without adjusting the funding to any community service. Worse, the Ministry proposes to allocate R$ 120 million for hospitalizations in therapeutic communities for substance users. These establishments, which deviate from the Brazilian Public Health System regulations, are a heterogeneous, deregulated universe, against whom complaints of human rights violations are pending. Finally, the proposal brings back the financing of mental health clinics, which overlaps existing community services. The set of proposals favors hospitalization and duplicates services. As resources are scarce and decreasing, the result will be the scrapping of the community mental health network. In the year 2017, the current government reduced the implementation of new Community Mental Health Centers to a minimum, paralyzing, in practice, the process of creating new community mental health services. The Federal Public Prosecutor's Office questioned the legality of the proposals as they contradict the prioritization of community services, set in Law 10.216. The National Human Rights Council warned that the change threatens the fundamental rights of people with mental disabilities. These changes cause serious damage to a State Policy supported by federal legislation, by the social control and globally recognized by its results. There is a long way to improve mental health care in Brazil, still, but the measures proposed by the current Minister takes us back to the past and away from an improvement course. And mental health workers from Brazil. Driving Change is a report based on interviews with mental health Non-Governmental Organisations (NGOs) around the world written by the McPin Foundation in partnership with Mind. The focus was on mental health organisations that were user- or carer-led in countries across the globe working locally to raise awareness and improve services for people living with mental illness. "Mental health and well-being are fundamental to our collective and individual ability as humans to think, emote, interact with each other, earn a living and enjoy life. Yet currently the formation of individual and collective mental capital – especially in the earlier stages of life – is being held back by a range of avoidable risks to mental health, while individuals with mental health problems are shunned, discriminated against and denied basic rights, including access to essential care. In this report, potential reasons for this apparent contradiction between cherished human values and observed social actions are explored with a view to better formulating concrete steps that governments and other stakeholders can take to reshape social attitudes and public policy around mental health." It has been widely documented that the legal, social and financial impacts of being a refugee can be complex and deleterious. It is now coming to the fore that much the same can be said for the psychological impact of being a refugee or internally displaced person. This evaluation reports on how well UNHCR considers and provides for the well-being and mental health of the Persons of Concern to this agency. A perspective on the Mental Health and Psycho-Social Support (MHPSS) to Persons of Concern offers a new way to look at humanitarian assistance. It calls into question the appropriateness, sensitivity, and empathy of humanitarian interventions and demands that humanitarian agencies support avenues for displaced people to address and heal their own trauma. These demands pose a significant challenge for humanitarian organizations since many of the countries we work in do not have well developed mental health infrastructures and therapeutic solutions need to be resourced or developed within the displaced community. In some cases, addressing mental health also requires a technical expertise that has not always been present in the usual roster of humanitarian responders. Yet despite these challenges, the field based staff surveyed for this evaluation overwhelmingly agreed that “MHPSS programs contribute toward the protection of Persons of Concern”. Nevertheless, MHPSS is an emerging and sometimes ambiguous perspective for UNHCR as well as for many other humanitarian actors. Thus, the evaluation begins with definitions of psycho-social support and examples. As this evaluation discovered, MHPSS activities in UNHCR may exist as an adjunct to other programmes or by another name. Many thanks to Sarah Meyer, the author of this global review, for her expertise and up to date overview on the field of MHPSS in humanitarian interventions. Through her knowledge, sensitivity and persistence she was able to discern UNHCR’s level of engagement in providing MHPSS programmes to Persons of Concern. Sarah was also assisted by Nora McGann, Research Assistant from the School of Foreign Service at Georgetown University. Sincere thanks to the Steering Committee members of this review: Sabine Rakotomalala of Terre des Hommes - Switzerland, Dr. Mark Van Ommeren from the World Health Organization, and Marian Schilperoord and Stefanie Krause of UNHCR. Their advice and guidance were invaluable to this document. Most generous thanks to field based colleagues who informed the review by reporting on the importance and realities of providing MHPSS activities to Persons of Concern. For it stands to reason that a truly durable solution can only be present for an individual who has found a way to cope and create a viable support network in displacement. This book is a handy introduction to the practice of Psychiatry especially in resource limited settings in Africa. It covers the basic conditions one is likely to come across at the primary care level and gives practical hints on their diagnosis and management. Its pocket size enables one to carry it around as a quick reference and revision guide. It’s easy and readable non-technical style makes it suitable for anyone interested in a basic understanding of psychiatric conditions and their management. The e-book is available on Amazon (all platforms). Global mental health is a dynamic field of global health; a core aspect of the story which has led to its emergence has been the conduct of randomised controlled trials (RCTs) evaluating innovative delivery systems of packages of care for mental disorders in low-resource settings. Global Mental Health Trials brings together many of the world's leading researchers active in the fields of RCTs in low- and medium-resource countries and settings related to improving mental health care. It presents clear and practical information about how to conduct such trials in these settings, along with critical methodological and ethical issues related to such trials, learning from the positive and negative experiences of expert scientists in many countries worldwide who have completed such trials. This book serves as a valuable resource for practitioners in mental health - psychiatrists, psychiatric nurses nursing, psychologists, social workers, and occupational therapists - as well as researchers in the areas of psycho-social treatments in mental health, mental health services research, and programme and systems evaluation. Readership: Practitioners in mental health: psychiatrists, psychiatric nurses nursing, psychologists, social workers, and occupational therapists, as well as researchers in the areas of psycho-social treatments in mental health, mental health services research, and programme and systems evaluation. Acrodile Publishing Ltd is pleased to announce the release of the 2nd revised edition of 'Your A-Z On Mental Health'.The book covers a wide range of topics. It includes mental health disorders and how they are generally recognized and managed, covering the whole spectrum of life. It also includes description of subjects of interest in relation to mental disorders. homes and in mitigations against the costs and stigma of mental illness. It is hoped this book will serve to demystify mental disorders, and in the process significantly destigmatize people with mental disorders and in the process allow them together with their relatives, to come forward and demand for equal treatment, services and rights from the health professionals, policy makers, and medical insurers. This book is a must-read for everybody who cares for their mental well-being and that of others. You can order your hard copy by email to sales@acrodile.co.ke or the E-Book on Amazon and Barnes & Noble. This book is a must-read for everybody who cares for their mental well-being health and that of others. You can order your hard by email to sales@acrodile.co.ke or the E-Book on Amazon, Barnes & Noble and www.ekitabu.com . You can order your hard copy by email to sales@acrodile.co.ke or the E-Book on Amazon, iBookstore,xinxii.com, and Barnes & Noble. Acrodile Publishing in conjunction with Africa Mental Health Foundation (AMHF) wish to announce a new book ‘Contemporary Psychiatry in Africa:A Review of Theory, Research and Practice' by Prof. David Musyimi Ndetei and Prof. Christopher Paul Szabo .You can preview this book by clicking on the link above. Digital edition is available at Amazon.com, Barnes and Noble, Kobo, Fnac, iBookstore, e-kitabu.com, Casa del libro, e-sentral, Flipkart, Sony, T-Mobile and Vodafone. This price is valid for Australia. Change location to view local pricing and availability. What types of mental health care are right for the 21st century—in all countries, around the world? What is the best balance of primary care and specialist mental health care for people with mental illness? What is the best evidence for effective treatments and services? Which methods are most suitable for answering these questions? These are the tough issues addressed by this book. Leading experts from across the world bring their experience to bear in a series of chapters that set out the very best evidence in this field. They present clear accounts of what is known, extensively referenced, with critical appraisals of the strength of the evidence and the robustness of the conclusions that can be drawn. This book was inspired by the work of Michele Tansella on the development of community care globally. It comprises four sections, identifying the challenges associated with providing mental health services in high-, middle- and low-income countries, then describing ways to meet these challenges. A section on new research methods to produce practical evidence is a novel aspect of the book. The final section addresses how best to deliver new forms of care, bearing in mind the human resources available. The chapters extensively cite specific studies to enhance the practical relevance. Much of the cited research involves service users so their voice is heard throughout the text. Mental health is rapidly becoming recognised as one of the leading global health challenges. This book adds to our knowledge of the challenge and the solutions and stands to make a significant contribution to global mental health. A large Wagnerian grandmother. A great-aunt known as 'the Buchenwald chicken'. Shame and misery on the sports field. A club-footed father who disappeared to the golf course every weekend. How do these experiences lead to a career in psychology? Able-Bodied is a unique account of how being the son of a disabled man and the product of an eccentric family brought Leslie Swartz to a professional life working with disability issues. At the heart of this tale is a moving account of a complex, troubled, but loving father-son relationship, a relationship that spurred a lifetime of trying to understand and come to grips with what different bodies and different abilities mean for us all. With wit, compassion, frankness and irreverence, Swartz considers the challenges faced by families, academics, institutions and everyone trying to make a positive difference to society. Poignant and often hilarious, Able-Bodied is a tale of conflict, achievement, pain and triumph. It is a fascinating blend of personal narrative, anecdote and reflection on society, medicine and ethics. Please join with us all in celebrating the launch of the Federal Ministry of Health’s (FMOH) National Mental Health Strategy (2012/13 – 2015/16). This is a critical milestone in our journey towards the development of accessible, affordable and acceptable mental health care for all Ethiopians. The Strategy was developed with extensive input from a wide range of stakeholders. As a result, this is a Strategy for action which is workable in our setting and has the support of those who will play a critical part in its implementation. Therefore, a heart-felt appreciation is in order to all who graciously gave their time and input to the development of the Strategy. This book presents pictures of the living conditions and conditions of care of people living with mental illness or epilepsy in Ghana. This Resource Book is structured in three parts: first on the context of mental health legislation, which includes the interface between law and policy and the major human rights principles; second on the content of mental health legislation, including appropriate care, user and family rights and involuntary admission; and finally the process of drafting, adopting and implementing mental health legislation. The appendix contains a checklist for evaluating mental health legislation. articles provide a platform for health policy makers from around the world to discuss the challenges and opportunities in improving health care to their constituencies. Mental illnesses frequently co-occur with peripartum conditions, HIV-related disease, and non-communicable diseases. Care for mental disorders should be integrated into primary care and other global health priority programs. Integration of care for mental, neurological, and substance use (MNS) disorders should (1) occur through intersectoral collaboration and health system-wide approaches; (2) use evidence-based interventions; (3) be implemented with sensitivity to environmental influences; and (4) attend to prevention and treatment across the life course. Integration of care for MNS disorders with care for other conditions can occur through assimilation of activities, policies, or organizational structures at local, national, and global levels. Plans for health-related development targets post-2015 should consider the tremendous burden of disability associated with MNS disorders and co-morbid conditions. This paper is the first in a series of five articles providing a global perspective on integrating mental health. Funding: No funding sources were used for preparation of this manuscript. Are community mental health services relevant in low- and middle-income countries? We have recently argued, based upon a thorough review of the literature, that in low, middle and high income countries and settings a balance is required between investment in community-based and hospitalbased mental health services (Thornicroft & Tansella,2009, 2013a, b, Thornicroft et al. 2013, 2011a, 2011b). Is this view supported by leading mental health experts working in those low-income settings, where over three-quarters of the world’s population lives? In this issue of Epidemiology and Psychiatric Sciences, two papers examine this proposition both from the perspective of clinicians and as researchers. with which they can well be a critical element of the mental health care team. The World Innovation Summit for Health (WISH) is a high-profile initiative that aims to promote and facilitate innovation in the delivery of healthcare around the globe. This series of document characterizes the reality of mental health in the Republic of Moldova. The series comprises reports on the organization of mental health services and on the ongoing reform, which aims to integrate mental health into primary healthcare and to shift care towards community mental health centers. Jana Chihai is also sharing with us an epidemiological morbidity study and a review of education and training of staff in mental health in the country. Republic of Moldova Mental Health System Review. Review of the Mental Health Graduate and Residential Syllabus in the Republic of Moldova. Assessing Primary Healthcare Services in the Republic of Moldova as to the integration of mental health services into PHC. Community Mental Health Services in the Republic of Moldova Assessment Report. 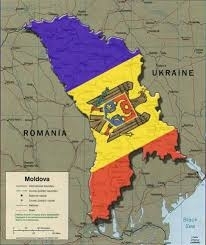 Review of mental and behavior disorders morbidity in the Republic of Moldova, 2007-2011. Assessment of psychiatric hospital care services in the Republic of Moldova subordinate to the MoH. Defining the package of mental health services appropriate for being integrated into primary health care. List of 30 funding or grant organizations, from the very small funding initiatives to the big global donors, from conventional funding to innovative online fundraising and loans. It is a challenge for all sectors in Global Mental Health to get or safeguard finance. Think of anti-stigma campaigns, advocacy agencies, rehabilitation/housing projects, mental health care facilities, educations and research. This list is a attempt to help people and organizations in the field to 'see the wood for the trees'. Join, share, learn, discuss and network Worldwide: Updated list of 10 Online Global Mental Health Communities with, of course the MGMH. Examples, links, back ground information, screen prints, etc. The WHO Mental Health Atlas 2011 represents the latest estimate of global mental health resources available to prevent and treat mental disorders and help protect the human rights of people living with these conditions. It presents data from 184 WHO Member States, covering 98% of the world’s population. Facts and figures presented in Atlas indicate that resources for mental health remain inadequate. The distribution of resources across regions and income groups is substantially uneven and in many countries resources are extremely scarce. Results from Atlas reinforce the urgent need to scale up resources and care for mental health within countries. Investing in Mental Health creates an economic case for health policy makers to spend money on mental health treatment and promotion. It gives evidence on the economic burden of mental disorders and that gap between that burden and the expenditure on mental health in most healthcare systems. Giuseppe "Bepi" Raviola is a psychiatrist with Partners In Health, Harvard Medical School and Boston Children's Hospital, working to integrate mental health services into global health care efforts. "Did you know that in 15 years depression alone will be the number one cause of disability globally, above heart disease, cancer and HIV?" Dr. Crick Lund from the University of Capetown, South Africa discusses Global Mental Health Research at the 2nd Annual NYC Global Mental Health Forum. Global development podcast: why care about mental health? What needs to change to improve outcomes for people living with a mental health problem in Sri Lanka and elsewhere in the developing world? Sri Lanka has many people with serious mental health problems, exacerbated by the tsunami of December 2004 and decades of civil war. The country has one of the highest suicide rates in the world. Yet mental health services are inadequately funded. Sri Lanka has only 56 psychiatrists, most of whom are based in Colombo and other urban areas. But Sri Lanka is not the only developing country with poor mental health provision. In May, the World Health Organisation (WHO) launched a programme to improve services for patients with mental or neurological problems, and people with substance-use disorders. According to WHO, most of the people affected – 75% of whom live in low-income countries – do not have access to the treatment they need. Vivienne Perry talks to Dr Michelle Funk, who co-ordinates the WHO programme, Ananda Galappatti, who has worked as a mental health practitioner in Sri Lanka for 16 years, and people in Sri Lanka who have mental health disorders. At Long Last: Is mental health poised to take its place on the global health agenda? The biggest taboo by far? Mental illness. It's a stigma that's present in all countries - and that's often even stronger in the developing world. And it's one reason that mental health has traditionally been an afterthought in global health discussions. But there’s a growing sense that this may be changing. In what the American Public Health Association describes as "a historic first," the American Journal of Public Health has devoted its May 2013 issue to covering the stigma against mental illness in the U.S. and internationally. And at the (packed) Global Mental Health sessions at Unite for Sight’s recent Global Health & Innovation Conference, every presenter commented on the sense of excitement and momentum in the field – as you can see in the videos below. Summary/Report - Santander lectures on Global Mental Health and Cultural Psychiatry. Santander lectures on Global Mental Health and Cultural Psychiatry. Three master-class lectures were delivered by Professor Villasenor-Bayardo on 17th and 25th April and 8th May. These were delivered in collaboration with Careif, an international mental health charity, and the Cultural Consultation Service located within the Wolfson Institute of Preventive Medicine, at Queen Mary University of London. Professor Villasenor-Bayardo, from the University of Guadalajara, Mexico, talked on an epidemic of Kieri, a cultural bound syndrome in Mexico affecting young children and their teacher. This lecture touched on the tensions between local government and health care organisations in responding to perceived threats to cultural heritage and identity, and how safe clinical practice can only be grounded in a rich ethnography and understanding of local indigenous beliefs and practices. Care practices are then humanised and more compassionate and personal rather than structured as technologies to be applied to a passive population. Professor Villasenor-Bayardo then talked on Latin American Masters of Transcultural Psychiatry giving a philosophical and historical tour of the Latin American landscape, sentiments, intellect, and expertise. Finally, he presented Latin American, and specifically Mexican, concepts of death and dying reflecting how indigenous beliefs and attitudes to death make use of humour to cope with the existential dilemma posed by death. The humour and death concepts seem to encourage familiarity and ordinary daily conversations in all age groups, including children, so as to promote a relationship with death that helps people to not fear death and to live to the fullest and become more resilient. The audience was particularly inquisitive about routine clinical practice and the level of resourcing for mental health care in Mexico, the role of the NGO sector and protest groups, and the weak position of the service user and advocacy movement in Latin American countries. What this series of lectures showed was the common factors, clinical, human and organisational, that are shared in mental health care between Latin American and European countries, including local country differences in wealth and attention to the mind in illness, recovery and wellbeing. Global policies and interventions are often promoted to tackle basic human rights standards of protection and care. These do provoke anxiety about imperialist and reductionist and inappropriate models of care being imposed in resource starved areas rather than enabling a bottom up empowerment of local movements, alongside task shifting to tackle the local burden of mental health problems without reliance on an expensive cadre of professionals. All agreed that a concept of governance in mental heath care, making use of international human rights conventions, is essential to promote and progress change. One of the ambitions of the Santander award is to promote intercultural exchange; we are now planning a joint degree, an anthology of writing on Latin American cultural psychiatrists, and of course, planning for the 4th World Congress in Cultural Psychiatry to be held in Puerto Vallarta in 2015. Professor Sergio Villasenor-Bayardo gave an outstanding second lecture showing how cultural psychiatry evolved as a discipline in the Latin American countries due in part to the many indigenous and immigrant groups living in close proximity, and the contrasting cultural influences in neighbouring countries. The relationship between Latin American countries, and the emerging psychodynamic and psychiatric sciences in France, Germany, England, USA in the 1900’s demonstrated similarities and contrasts. Previous leaders in Latin American countries proposed an approach to their practice that encompassed humanitarian and philosophical perspectives, and considered empathy, the arts, creativity, and the environment as relevant determinants of health and wellbeing and as powerful building blocks of cultural psychiatry. A phenomenology of schizophrenia was presented that, although unfamiliar outside of Latin America, provided a vivid and perceptive description of the internal world and dilemmas faced by people developing a persistent psychosis, specifically exploring how perplexity and withdrawal from the world replaces curiosity and wonder. The lecture included incisive observations and scientific breakthroughs from leading figures in Peru, Venezuela, Mexico, Argentina, Cuba, Chile, and Bolivia. Yet these contributions are little known given the geographical and linguistic distance that has to be negotiated for wider dissemination. The lecture was a testament to the vision of the Santander awards to bring scholars together with a mutual sharing of knowledge; in this instance the ambitions are to improve public mental health and wellbeing throughout the world. A Latin American organisation, the Latin American Group of Transcultural Studies or GLADET, was founded in 1951 with similar objectives. An anthology of writings published by GLADET and edited by edited by Professor Villasenor-Bayardo is being translated into English in order to share these profound insights into mental health, mental illness and culture with the rest of the world. This also is being supported by Santander. This was the second lecture of three. The first lecture on an epidemic of a culture bound syndrome was given on 17th April. In writing my next blog post I realized that a good number of my readers may have not talked to me about my degree or may just need a crash course in order to understand my passion and what I am talking about. So welcome to my version of Global Mental Health 101. Let me break it down and start with some basic definitions and distinctions as well as my two cents. Then I’m going to slip in slightly revised parts of my practicum plan (with references) for your information. On May 7-9, Tarun Dua, from the World Health Organization (WHO) Department of Mental Health and Substance Abuse in Geneva, and Dévora Kestel Regional Advisor on Mental Health of the Pan American Health Organization (PAHO/WHO), participated in various activities related to the implementation of WHO mental health Gap Action Programme (mhGAP) Pilot Project in Panama. The Pan American Health Organization participated in the “10th Hemispheric Forum of Civil Society and Social Actors” held at OAS Headquarters in Washington, D.C., May 9. The Pan American Health Organization provided technical support to the Organization of American States in the negotiation process of the Declaration of Antigua: “For a Comprehensive Policy against the World Drug Problem in the Americas,” adopted at the Forty-Third Regular Session of the OAS General Assembly, held in Antigua, Guatemala, from 4 to 6 June. On 28 and 29 May, the Pan American Health Organization (PAHO/WHO), in coordination with the Nicaragua Department of Extension and Quality Assurance (DGECA, for its acronym in Spanish), organized a workshop for "Training primary care facilitators in the implementation of the mhGAP". The modules selected were those on depression, alcohol and suicide. A project proposal on “Strengthening the mental health component in primary health care” was discussed at a meeting inHonduras, from April 23 to 24. This community mental health model to be implemented in the country is co-sponsored by the Pan American Health Organization and the Seventh-day AdventistChurch, with the participation of the Ministry of Health, the National University of Honduras, and Loma Linda University inCalifornia, USA. From 18 to 21 March, two workshops were held in El Salvador Citywithin the framework of Technical Cooperation among Countries (TCC) in order to plan the implementation of two projects. A workshop for training trainers in epilepsy was held at PAHO/WHO headquarters in Argentina, on April 26. It was jointly organized by the League against Epilepsy (LACE) and Hugo Cohen, PAHO Subregional Advisor on Mental Health for South America. LACE’s President, Roberto Caraballo, was present at the event together with specialists from the provinces of Buenos Aires,Santa Fe, Mendoza and the City of Buenos. Panama, March 5-7. Experts from all over the continent analyzed the current situation, progress and challenges of tobacco products packaging during the Second Regional Workshop "Packaging, labeling and regulation of tobacco products", according to the mandates of the World Health Organization Framework Convention on Tobacco Control (WHO FCTC). The event was organized by Panama Ministry of Health and the National Health Surveillance Agency of Brazil, with the technical cooperation of the Pan American Health Organization (PAHO/WHO) and Health Canada. Two workshops on "Strengthening national capacities to manage public health responses in illicit psychoactive substances demand reduction” were held in Guatemala (April 3-5) and inPanama (April 17-18). Chiapas, México, April 16 - A meeting for analyzing the situation of mental health in Chiapas was organized within the framework of the technical cooperation agreement between the Pan American Health Organization and Chiapas Health Secretariat. The meeting was opened by Chiapas Secretary of Health, Carlos Eugenio Ruiz Hernández; Dévora Kestel, PAHO/WHO Regional Advisor on Mental Health; and PAHO/WHO consultant in Mexico, Enrique Gil. Hermosillo, Sonora, April 23 - A number of activities aimed at training mental health personnel of the Ministry of Health, were carried out as part of the “State Mental Health Week” inHermosillo. Editorial Committee: Jorge Rodríguez, Hugo Cohen, Claudina Cayetano, Dévora Kestel, Maristela Monteiro, Luis Alfonzo, Maria Florencia Di Masi y Martha Koev. PAHO’s Mental Health Bulletin is published bimonthly in English and Spanish. Content: Brief country profile Kenya, overview mental health care Kenya, report on meetings with USPKenya, Mathari State Mental Hospital, BasicNeeds Kenya, Outspan hospital counseling services, AMHF (Africa Mental Health Foundation), mental health activist Sitawa Wafula, Tawakal psycho-trauma clinic for people from Somalia, Peter C. Alderman trauma project, and more. Info, links, few pictures, conclusions. In January 2013, I had the opportunity to extent my stay in Kenya, after providing a MSF (Médecins Sans Frontières, Doctors Without Borders) mental health and basic counseling training for a group of Somali nurses in Nairobi. After these 2 weeks training I arranged a couple of visits and interviews with people working in, or using/surviving, mental health services in Kenya. I wanted to meet the people I knew for quite a while via internet (Facebook, Twitter, LinkedIn, my blog) and I wanted to satisfy my curiosity. I wanted to get some insight into the mechanisms and contexts in mental health care Kenya. Find positive vibes, plans and developments. Fostering hope, but also knowing where one must start and invest, in order to achieve improvements. As of September 2012, the London School of Hygiene and Tropical Medicine, in collaboration with King’s College London Institute of Psychiatry will launch an MSc in Global Mental Health. This is a face-to-face taught course and may be taken full-time for one year or part-time for two years. Teaching faculty from the two institutions include many of the leaders in the new discipline of Global Mental Health, including Prof Vikram Patel (LSHTM) and Prof Martin Prince (King’s IoP). A third of all countries in the world have no mental health policy or plan. In the African region, this proportion is nearly half. Moreover, nearly 40% of countries that do have policies have not revised them since 1990 (Lancet series on global mental health, 2007). Policies are strengthened by laws that back them; but 31% of the world’s population live in a country with no mental health law. Even having a mental health act is not enough, since discrimination against people with mental disorders is sometimes codified in law. To learn more about the status of mental health policies and legislation in low- and middle-income countries and guidelines for reform, browse these pages.